Money Week 2016 reminds Kiwis the ball is in their court to make a start with saving money for the future. Run by the Commission for Financial Capability and budgeting advice resource Sorted, the annual financial awareness week is in its fifth year. This time around, the theme is “Show Me The Money Week”, with a focus on financial planning for retirement. Running from 5-11 September, the week involves 70 public events and 406 private events being held nationwide, according to the Sorted website. 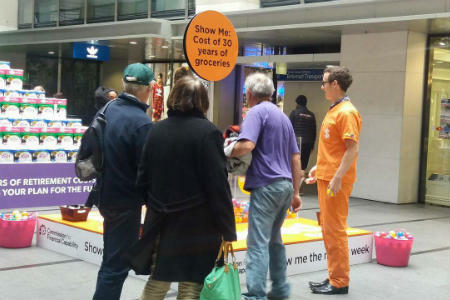 At Auckland’s Britomart, Sorted staff members are stopping the public to have them guess how much 30 years’ of groceries will cost them by throwing a ball into containers marked with various values –$100,000, $200,000, $300,000 and $400,000. Sorted digital marketing manager Matt Fontein tells Canstar hundreds of people have been taking a stab at it. The actual cost is $300,000 but Mr Fontein says, interestingly, younger members of the public tend to guess on the higher end of the scale, while the older members are guessing less. 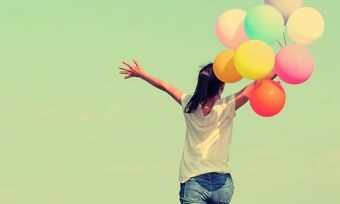 The annual money weeks are a popular way for Kiwis to get active about their financial planning, with millions of people getting actively involved, such as through engaging with the promotional website and competitions, Mr Fontein says. 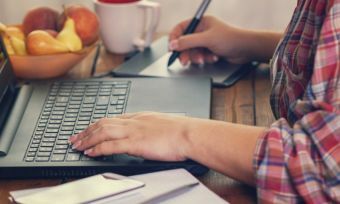 As part of the promotional week’s focus on financial planning for the future, the Sorted website provides figures on estimates of how much you would spend on household items on 30 years of retirement – $10,000 on toast and $4,000 on beans, for example. 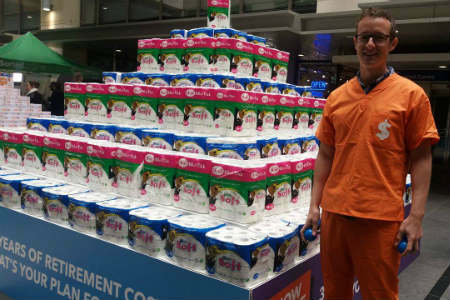 Sorted’s Matt Fontein demonstrates the amount of toilet paper you’ll need to budget for over retirement. Various financial groups are holding financial events to give New Zealanders some extra support and guidance with managing their money. ANZ is holding a seminar how to manage your “financial fitness”, with pointers on how to tell whether you are financially fit. You can find out more information here. The Reserve Bank of New Zealand is also holding a tour of its museum, where you can take a look at the moniac. Built in the 1940s, and powered by water, the machine is arguably the world’s first economic forecaster. And BNZ is also offering a tour of its BNZ museum to show the changes in banking over the past 150 years, more details are here. Show Me The Money Week is about taking an active approach to financial planning. Budgeting for the future is also about being aware of how much you spend on financial commitments, such as home loans, and checking you are getting the best rate. A home loan is likely to be the biggest debt you take on, so it’s important to be aware of the rates available on the market, so you can see whether you can save cash with another provider or home loan type. The difference in monthly repayments in various fixed and floating home loans may not seem like much but, it can equate to thousands when you look at it over the span of the entire loan period. Source: www.canstar.co.nz, the search results do not include all home loan providers, and may not include all features relevant to you. Calculate is approximate only and based on a $400,000 home loan over 25 years. When you’re thinking about planning for your financial future, keep in mind that, despite our low cash rate, credit card interest rates remain high. It pays to have a look at what is available on the credit card market, compare interest rates and fees, to help you assess where you get value for money. For example, here is the difference in rates for low rate credit cards and standard credit cards, according to the database on canstar.co.nz. So what could you save on a credit card? If you are credit card user with debt you pay interest on, then having a low interest rate will save you money, which you can put towards budgeting for household items for retirement. Source; canstar.co.nz. Assumes no further spending on card, does not take into account annual fees. Approximate only. Banking ombudsman Nicola Sladden reminds New Zealanders to do their homework before making any financial commitments such as taking out a loan. “Sustained low interest rates are making borrowing more attractive than ever before”, says Banking Ombudsman Ms Sladden says in a media release. The Banking Ombudsman Scheme has more than 30 quick guides on its website covering common banking complaints. Canstar also compares a range of financial products, to get you started on choosing the most suitable option for your lifestyle.